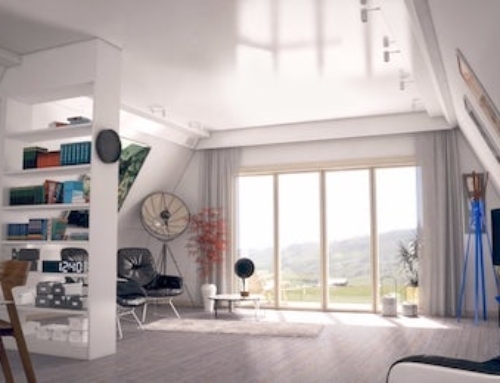 Malka came up with this idea because the local building codes do not allow for extending buildings upward, but extending them outward is allowed. He has already designed the wooden boxes to be used for this purpose. They vary in size and are all prefabricated off-site. 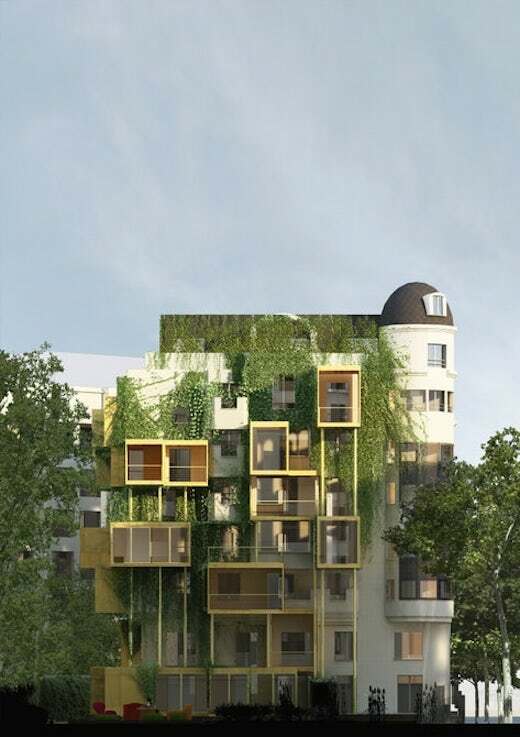 The building that is to get this interesting facelift is located in Paris’ 16th arrondissement, and was build in the 1970s. 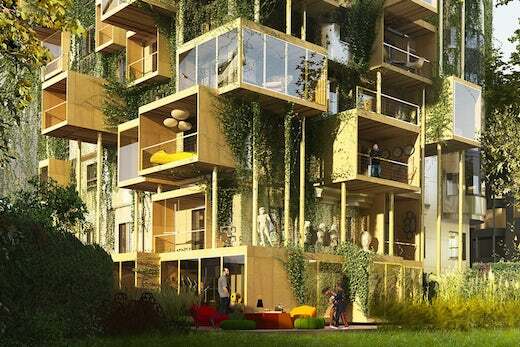 The prefab boxes to be used will be lightweight, and built using sustainably-sourced wood. 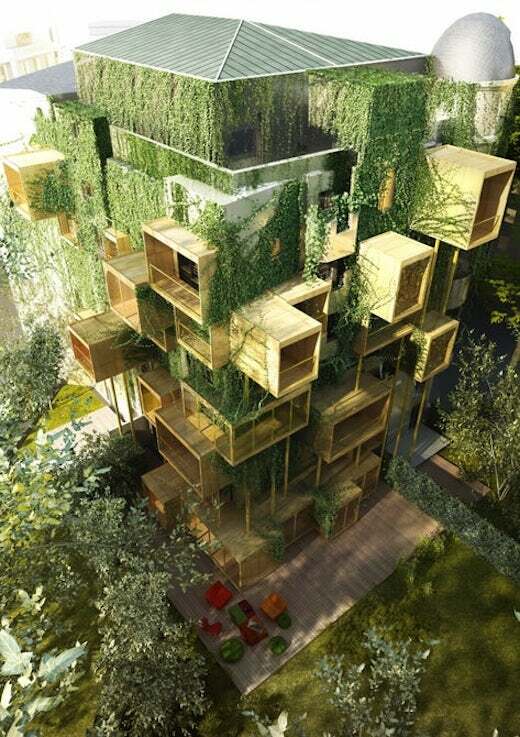 Plans call for them to be mounted onto the building’s facade. The occupants of the building will be able to decide what they want to use the added space for, such as a lounge, balcony or a loggia. 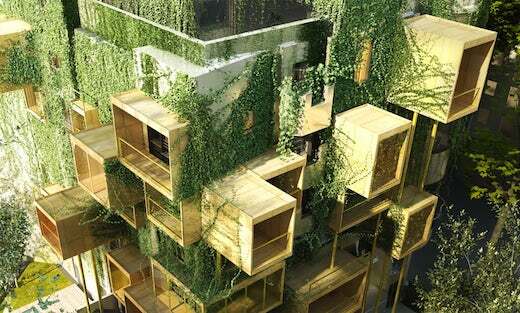 The renovated building will also have a green façade, thanks to the greenery planted along the boxes. According to Malka’s calculations, these new additions to the façade will reduce the building’s energy expenditure from the current 190 kWh per sq m (10.8 sq ft) per year to 45 kWh per m2 (10.8 sq ft) per year. That’s quite a reduction, and it will be interesting to see if these numbers are achieved in practice. The Plug-in City 75 project will be completed mid-2018. 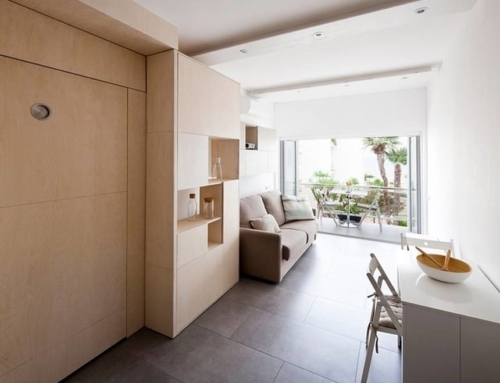 Overall, this is a great example of an old building renovation done right. 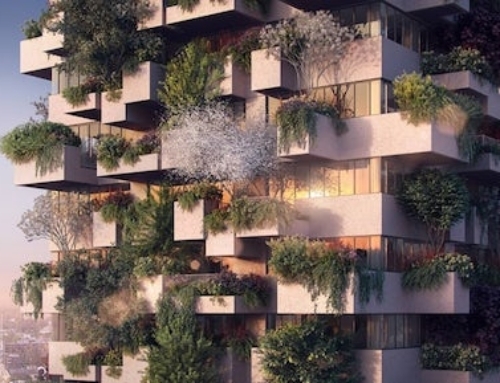 This project will boost energy efficiency and create larger living spaces in one go, which should be the goal of urban renovation projects worldwide, if we are to successfully reduce our carbon and energy footprint. Now that’s thinking outside of the box. (Sorry – it had to be said!) Very cool project. Looking forward to seeing it executed.